Pascale BOTBOL is one of the Partners of the Study HELVETICA AVOCATS. She was awarded a Master of Law by University of Geneva in September 2006. Qualified as Attorney at the Geneva bar since November 2008 (1rst attempt), she did her legal traineeship at MAUGUÉ AND BERTHOLET. Then Pascale BOTBOL joined the legal department of the Child protection Service of Republique and Canton of Geneva. From May 2010, she practiced at Solutions Avocats, today Arc Avocats, as Associate, then senior Associate. She joins Helvetica Avocats as Partner in April 2016. 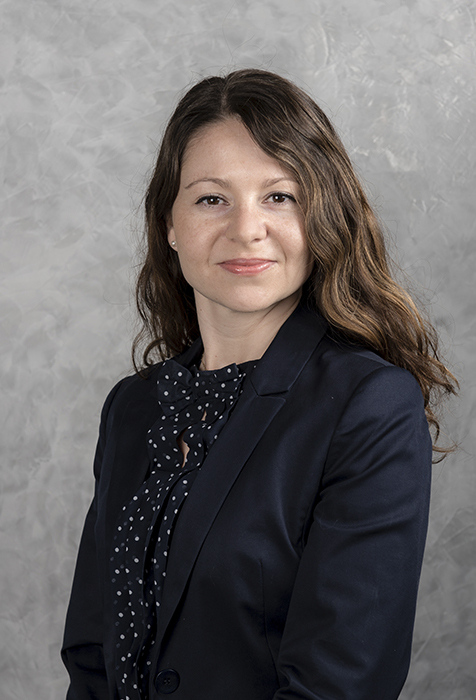 Pascale BOTBOL mainly advises her clients in family law, in civil liability, in commercial and contract law (labor law, real estate etc), in criminal law and in administrative law. She is active in the Cantons of Vaud and Geneva. She practices in French and English. Mother of a little boy, Pascale BOTBOL travelled around the world and enjoys to discover new cultures. Pascale BOTBOL is a member of the Vaud bar association (OAV) and the Swiss bar association (FSA).